Medical issues : I contracted a chest cold in the days prior to our departure which I wasn’t too concerned about. From the beginning, however, all systems were not go. I figured I’d give it a good 24 hours to see if it would turn around. Sadly, my condition worsened to a state where pushing further on such a committing route would not have been safe. Symptom’s : nasty cough w/ lung material coming up, head-ache, and multiple (increasing in temperature) fevers. Ty was having a different set of challenges for the day so both of knew that an exit was the right call. We’re going south to north and unsupported. We’ll have the SPOT in “track” mode so it should send an update every ~10 min. Jared, what happened out there? 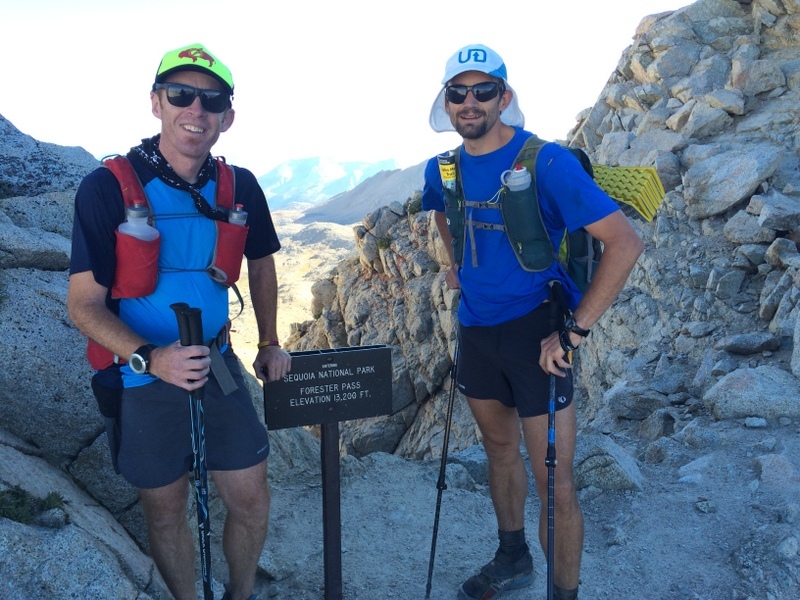 Would love to hear how your FKT attempt went…hope you guys are both OK.
Be safe and enjoy every step! We are all cheering from a far. Jared, great to hear you are going for the JMT. what you said above opens up a sort of can o’ worms. many of us feel an unsupported attempt must be done solo. will this be a team unsupported attempt ? a new category ? “There is already a well-established term to describe efforts involving only one person — and that is “solo”! A traveler who is both alone and without material support is “solo and unsupported”.